Registration for those driving their own car who are NOT hosting. If you'd like to join us but are NOT driving or NOT Hosting, the price is $25 each to help cover the lunch and gas. We will let you know who you will be riding with once everyone is registered. We are taking the Gifu Ambassadors for a tour around Lake Tahoe. 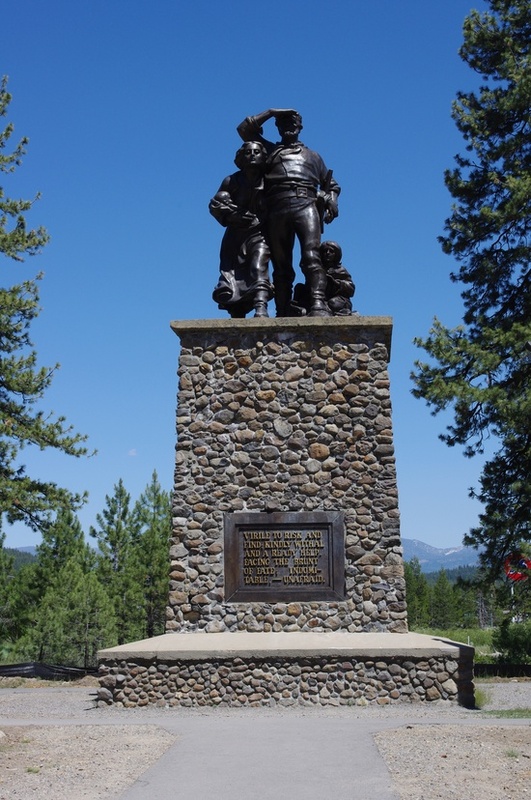 We will drive up Highway 80, making a stop at the Donner Summit and then down to visit the Donner Museum. Lunch will be at the mountain home of Pat and Bob Ghiglieri. The afternoon will include a tour around Lake Tahoe with several beautiful stops. Then we will come back to Sacramento on Highway 50. This is an all day trip approximately 8:30 am to 8:00 pm. We will be car pooling so the will depend on if you are driving or not. Passengers pay $25 each. Drivers are free but pay their own gas. NOTE: Hosts and Ambassadors do not need to register.